Chef Jackson and his wife Tamara Jackson bring their fresh unique style of food to Downtown Starke, opening Call Street Cafe in the Spring of 2015. 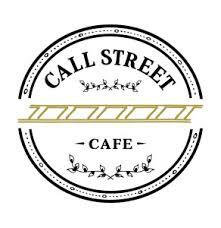 Since opening, Call Street Cafe has been featured in the Bradford County Telegraph and quickly took over as #1 on The 10 Best Starke Restaurants list according to TripAdvisor. In February of 2016 Chef Jackson and Tamara were honored by the North Florida Chamber (photo featured).